New album, back on the road again – this is also the case for PETER HEPPNER this year. One of Germany’s well-known and most striking voices will finally be back on tour with a new album! PETER HEPPNER’s previous album “My Heart Of Stone“ was already released back in 2012, so fans had to endure a long absence. But the waiting is over now! The new album is called “Confessions & Doubts“ and will be released on September 21st. But it seems that after such a long time of waiting for new music he wrote too much material for only one album. Too much music for only one album that was also too good not to be released. Which is why he will also will release “TanzZwang”, besides “Confessions & Doubts“. Definitely worth waiting six years when you get two albums at the same time! The support act has already been announced: the band LEICHTMATROSE will go on tour with PETER HEPPNER. Maybe you didn’t know PETER HEPPNER, but you’ll recognize his striking voice. With WOLFSHEIM, PETER HEPPNER started his big career. The radio stations in the 90s played their songs up and down – it was hard to miss their music. Maybe you didn’t know the name of the band, but his striking voice has such a high recognition value. You can’t forget this voice and you’ll recognize it every time you hear a song with him in it. I grew up in the 90s. WOLFSHEIM and PETER HEPPNER had a big influence of my taste in music and I’m still in love with his songs, new or old, it really doesn’t matter. It was always on my “To-Do-List” to visit on of his shows one day. I follow this artist now for maybe 20 years and hopefully I can make it happen to see him finally live this year with the „Confessions & Doubts“-Tour. Tickets are available through PETER HEPPNER‘s music label and cost approximately 40 Euro. Don’t miss PETER HEPPNER on his tour! 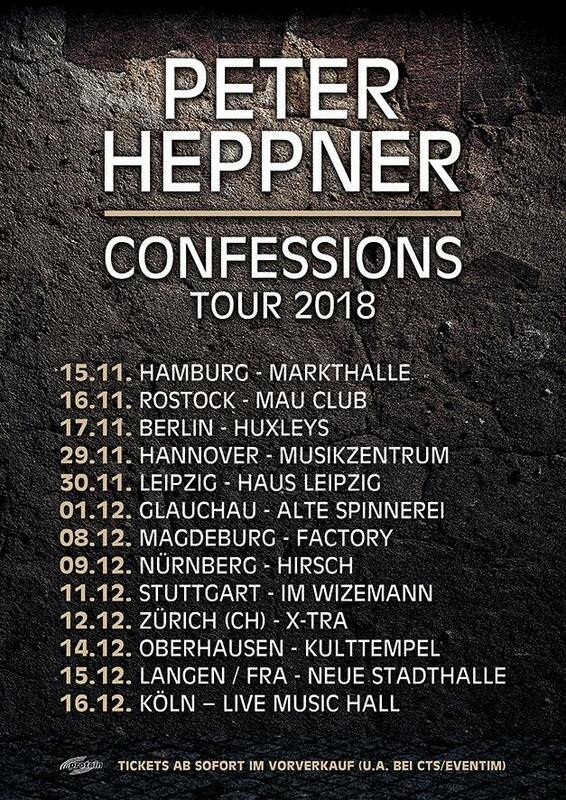 Note: The Tour was first called only „ Confessions 2018“. After he changed the name of the album in „Confessions & Doubts he also changed the name of the tour. Tickets with the old name are still valid! Are you going to see PETER HEPPNER live this year? Where? Tell us in the comments!